Cuisinart Gas Griddle Just $98.59! Down From $180! PLUS FREE Shipping! Hurry over to Amazon where you can score the Cuisinart Gas Griddle for just $98.59 down from $179.99 PLUS FREE shipping! If you’re looking for easy and versatile cooking at home, look no further! From the basics to breakfast and beyond, you can cook just about anything on a griddle. Flat top cooking can be found in just about every cultural cuisine from Japan to Spain to the U.S. The Cuisinart Gourmet Two Burner Gas Griddle is designed to look great on your patio while still offering the portability to take it to the tailgate, camp site, or anywhere your culinary creativity is needed. 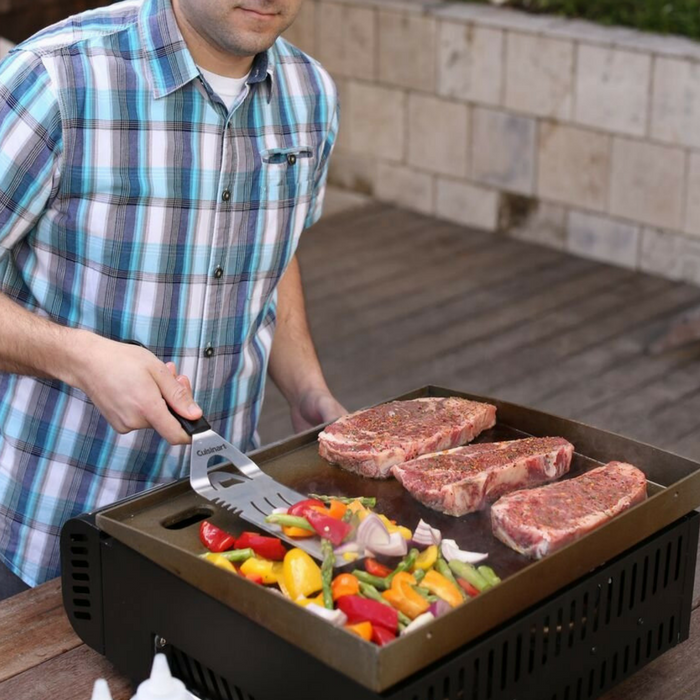 If you need an all-in-one outdoor cooking appliance or something to expand your culinary creativity at home or away, then this product is for you!